SVM SHARES is SVM’s corporate philanthropy program. Each year, SVM SHARES selects one local, one domestic and one international organization to support through coordinated events and giving opportunities throughout the year. 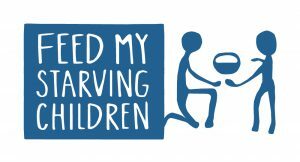 This year, SVM will be supporting the philanthropic efforts at Partners for Our Communities (local), USA CARES (domestic), and Feed My Starving Children (international). SVM and our team members are proud to partner with these three organizations in 2019. We look forward to helping support the important work that they do in our communities near and far.